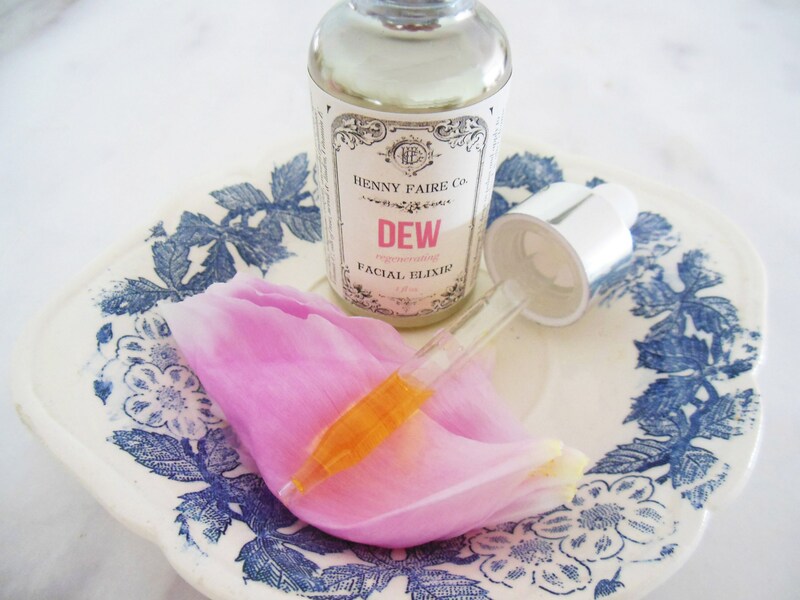 Henny knew how to keep her skin looking smooth and supple year after year. Her secret was rosehip seed oil from native wild rose bushes. 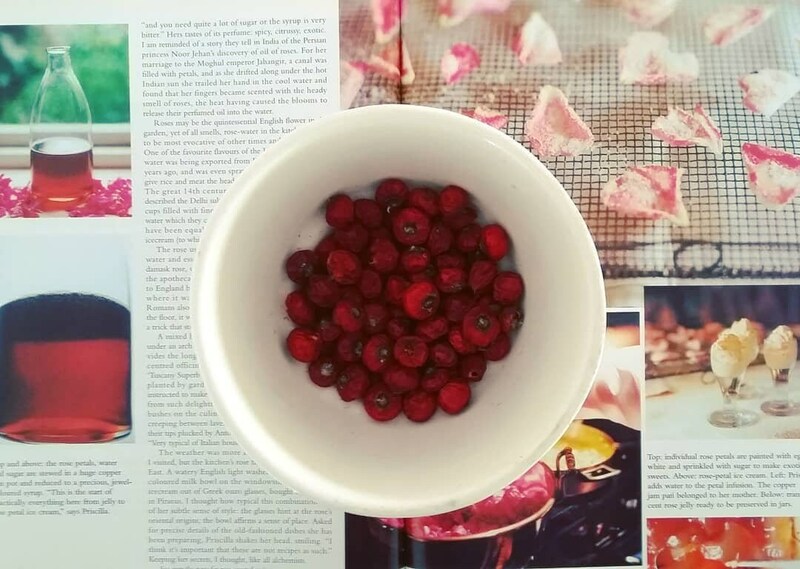 "Rose haws," as she called them, are loaded with natural Vitamin C, transretinoic acid (a gentle retinol), and beta-carotene. 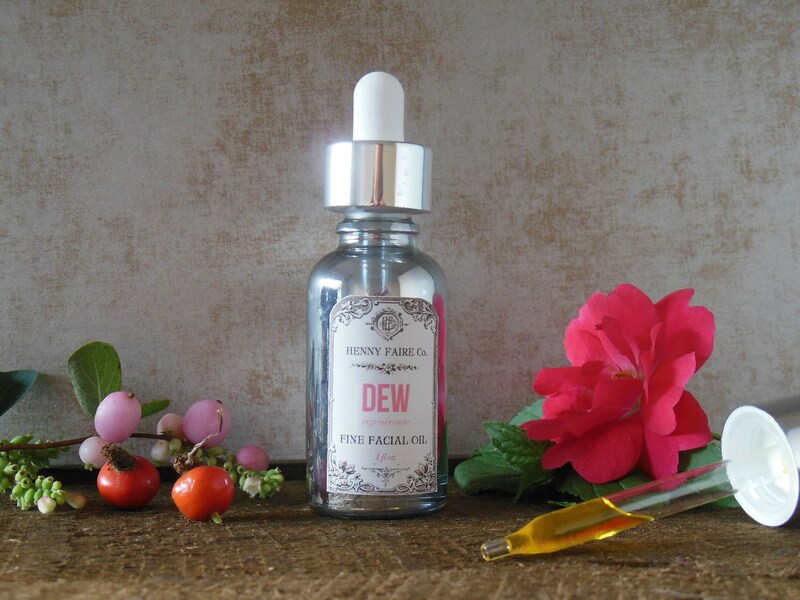 To create DEW, we fortify our rosehip oil with extra vitamin C, antioxidant seabuckthorn berry, CoEnzyme Q10, and conditioning plant extracts. 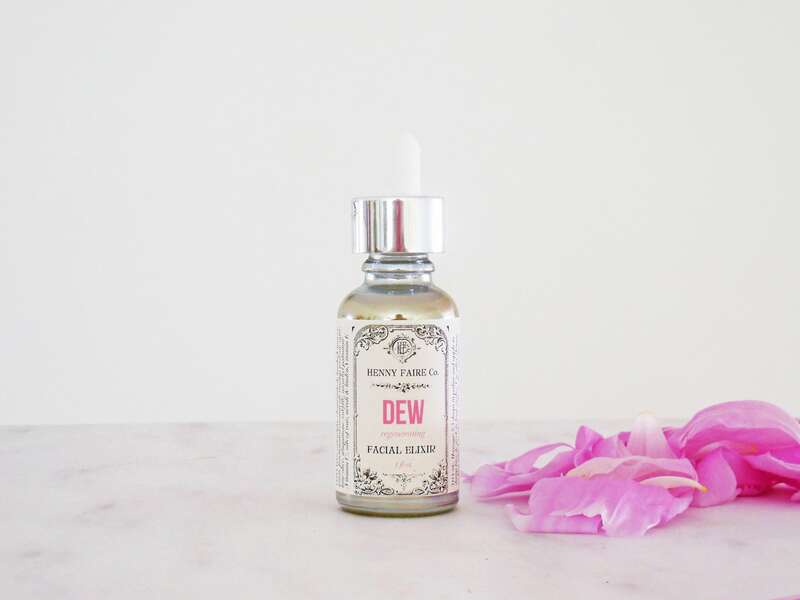 The natural honeyed floral fragrance of DEW--coming from calming rose, neroli, and linden blossoms--will turn your renewal routine into a cherished ritual.